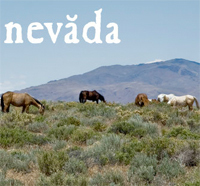 The Nevada Commission on Tourism recently awarded more than $400,000 to the state’s rural areas to support tourism efforts, bringing the total allocations for the year to $1.4 million. The new grants include $20,000 to the Cowboy Country Territory to create high-definition video and photographs and $8,000 to help the Laughlin Tourism Commission promote a concert series in the new 9,350-seat Laughlin Event Center that is scheduled to open in February. A $7,000 grant was given to the Greater Austin Chamber of Commerce to promote the North American Land Sailing Association’s World Championships at Smith Creek Dry Lake.